Flying remote helicopters is a trend almost every age group has found passion in. However, a remote control helicopter with camera captures a plethora of remarkable images only possible when taken air born. RC Toy Helicopters are probably the most simplest form of purchase; however with limited controls, yet great for beginners and relatively inexpensive. It must also be noted that time spent learning how to fly toy helicopters do not yield to an advance skill level to fly more sophisticated helicopters. More importantly, when these helicopters get damaged in a crash, it may be impossible to get them up and running again because spare parts are really scarce. The coaxial model can be flown indoors as well as outdoors and has proven to be a very stable helicopter, yet no roll control with limited mobility as well. Models of this type use a third rotor on the tail to provide pitch control and capable of having extremely quick control response. Furthermore, coaxial models are typically larger than toy helicopters and provide more movement with dual or twin rotors. Multirotor RC Helicopters or Quadrocopters are probably the most prevalent in aircraft, in part because of its variety of movements, including vertical takeoff, hover, and simple turns. These helicopters use an electronic control system and electronic sensors to help stabilize the aircraft with its size and agile maneuverability. This four propeller design has made this aircraft an attractive platform for most amateurs and professionals alike. The controller sends radio signals to the RC helicopter that translate into a variety of movement. The more channels the more variety of movement. For example, a two-channel helicopter uses one channel for speed and the other for turns. RC helicopters with more than three channels can perform a variety of moves through the addition of collective pitch. By tilting the rotor blades, the helicopter can swoop, climb, roll, loop, fly backwards, and even upside-down. Some of the most common types of power sources include: glow fuel (most common), electric batteries, gasoline, and in some cases turbine engines. Glow fuel, a combination of nitromethane and methanol can provide up to 10 minutes of flight time depending on the type of engine. Advancements in technology has allowed many lithium polymer batteries as much as twelve minutes of flight time. Common materials manufacturers use to help design the various aircraft models are Plastic, aluminum, glass-reinforced plastic, and carbon fiber. Helicopters need to be lightweight so that they can fly and use power efficiently. Having said that, the blades use lightweight materials e.g., fiberglass or sometimes wood. And while some RC helicopters come fully assembled, complete kits are available for those who prefer to build their own models. It should be noted that beginners who are still learning to fly should first go with durable models, such as helicopters made with hard plastic polymers. This material is not very heavy, but still robust enough to survive a couple of crashes. This amazing 4-rotor copter is a steady flyer that lets you capture amazing footage way up high in the sky. It features the Naza-M intelligent orientation control flight dynamics system and a GPS autopilot system that lets you program a destination and have your Quadcopter fly there exactly and return to you. It also features 2 flight control modes and a position hold mode that keeps the Quadcopter hovering in place, plus a home landing function that will automatically land it in the event of a transmitter disconnect. Panther Spy Drone UFO–this one features a video camera, so you can record what the ground looks like from way up high! With 360° stunt mode and indoor and outdoor flight, this drone is capable of maneuvers that put dinky little model planes or helicopters to shame. The high Carbon fiber propellers are powered by 2 solid motors with a third motor in the tail rotor. Best of all it comes equipped with a built in HD Camera and high capacity Micro SD card and card reader adaptor. Simply put the Micro SD card in the adaptor and connect to via USB to your computer and watch your in flight videos instantaneously. This amazing 4-rotor copter is a steady flyer that lets you capture amazing footage way up high in the sky. 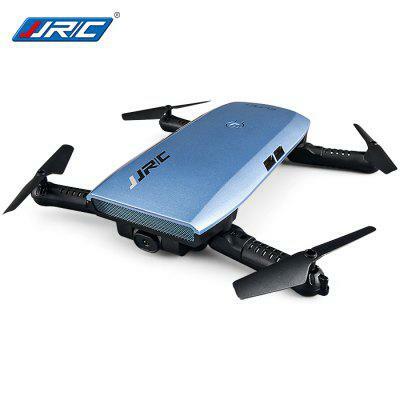 It features the Naza-M intelligent orientation control flight dynamics system with GPS that lets you program a destination and have your Quadcopter fly there exactly and return to you, along with providing other advanced flying controls as well. Mount your GoPro or other compact HD camcorder and in addition to getting video with WiFi-enabled cameras you can get a free app for iOS or Android devices that allows others to watch your flight footage! It also features 2 flight control modes and a position hold mode that keeps the Quadcopter hovering in place, plus a home landing function that will automatically land it in the event of a transmitter disconnect.